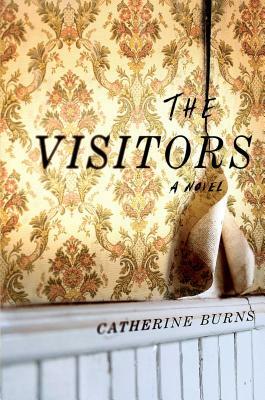 "Once you start Catherine Burns' dark, disturbing, and enthralling debut novel, it's hard to stop.The Visitors is bizarrely unsettling, yet compulsively readable." "I absolutely loved it. I would advise any nail biters to sit on their hands while reading this book because they will chew right down to the knuckle. By far the creepiest novel I have read in a long time and I mean that in a really good way." "The novel sets up plenty of creeps and shivers, but… there is still a twist at the end." The Visitors is an insidious, creepy novel, with a slow burn that leads to a horrifying revelation. "I made the mistake of starting this one night before going to bed... It’s not an all out creepfest, but somehow through the use of these dichotomies, Burns has created a story and characters that are even more horrifying as they feel thoroughly realistic." "The Visitors, is dark and atmospheric, and its imagery is quite evocative... Through vignettes from Marion's point of view, Burns slowly layers morbid details as she unravels the disturbing Zetland history."